Matt Sheehan served as the first China correspondent for The Huffington Post, and is currently a non-resident fellow at The Paulson Institute, where he researches the growing ties between the two places he has called home: California and China. 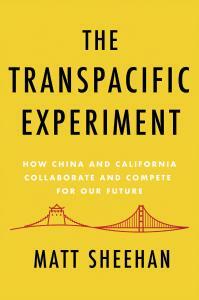 Matt grew up in the San Francisco Bay Area and spent over five years living in mainland China. His writing has been published in Vice News, Foreign Policy, and The Atlantic. He is based in Oakland, California.